A consortium led by green technology innovators Intelligent Energy has announced plans to convert new light commercial vehicle (LCV) fleets to fast refuelling zero emissions vehicles. 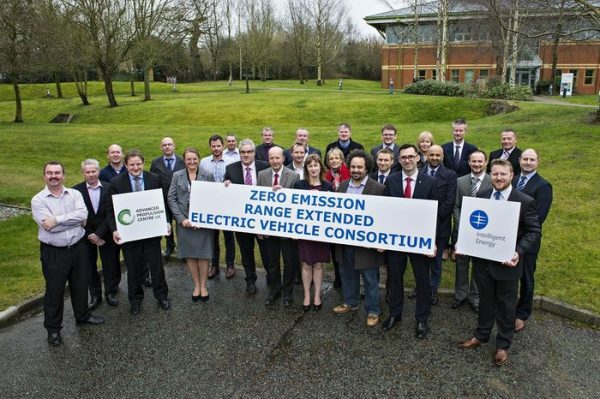 One of the main barriers to customers buying into zero emissions vehicles is that it takes too long to refuel them, and with several million pounds of investment from a consortium of big name businesses, this issue is set to be addressed. Currently, the main reason cited by businesses not buying zero emissions vehicles is the range and the time it takes to refuel them which can be up to eight hours for a 200 mile range. Where government grants exist to pay off the excess cost over and above those of hydrocarbon powered vehicles – diesel, petrol or LPG – the technology to enable them to compete mile for mile still lags behind. It is estimated that until the issue of slow refuelling is addressed the zero emission LCV market will never exceed 10 per cent of the fleet. If refuelling can compete with hydrocarbon powered vehicles then this should raise to as much as 30%. Intelligent Energy specialise in creating hydrogen fuel cell systems in automotive, consumer electronics and distributed power generation. Rather than build its own vehicles it licenses out its patented systems to companies that retrofit the power plants, fitting as OEM or new vehicle conversion. This pollination of its technology allows widespread use of the systems and cuts out the huge outlay of having to manufacture the vehicles themselves. This is a faster route to market and can in theory be fitted to most vehicle manufacturers’ light commercial vehicles. It also means that Intelligent Energy can focus on what it does best – producing fuel cell systems. Fuel cells are batteries where hydrogen is used to produce electricity. They are as quick to refuel as hydrocarbon power systems. They are the ultimate goal of the automotive industry’s green agenda. Ultimately they could completely replace hydrocarbon powered vehicles. There is a concerted push to install hydrogen refuelling pumps across the UK. These will be found at petrol stations and will be as easy to use as liquefied petroleum gas pumps are today. One of the major issues with hydrogen is that it is difficult to store at sufficient quantity for a decent range to be achieved in a vehicle. This is just one of the problems that Intelligent Energy hopes to address with the money it is getting to research these systems. There have been many false starts to hydrogen fuel cell powered vehicles. The dream has been just out of reach for a very long time, even with crude oil prices sitting at well above $100 a barrel for many years. The consortium led by Intelligent Energy is supported by some major blue chip companies including British Gas and DHL. As such there has been a real vote of confidence in this attempt to drive fuel cell powered vehicles into the market. The planned route to market is a good one as well. The idea is to sell the systems to captive commercial fleet operators – a significant portion of the LCV market. One would hope that with as many as one in three new LCVs hitting the road that are hydrogen powered, this should create some impetus for the wider commercial and domestic vehicle markets to follow suit.